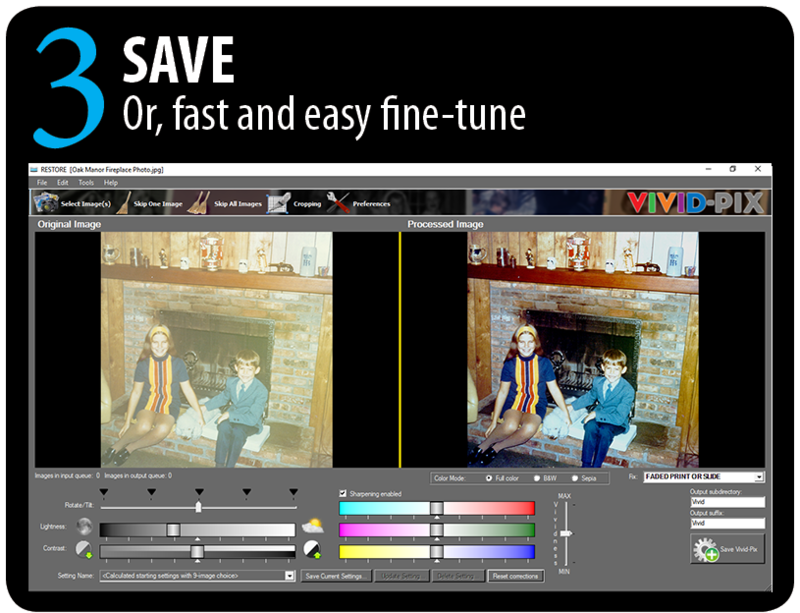 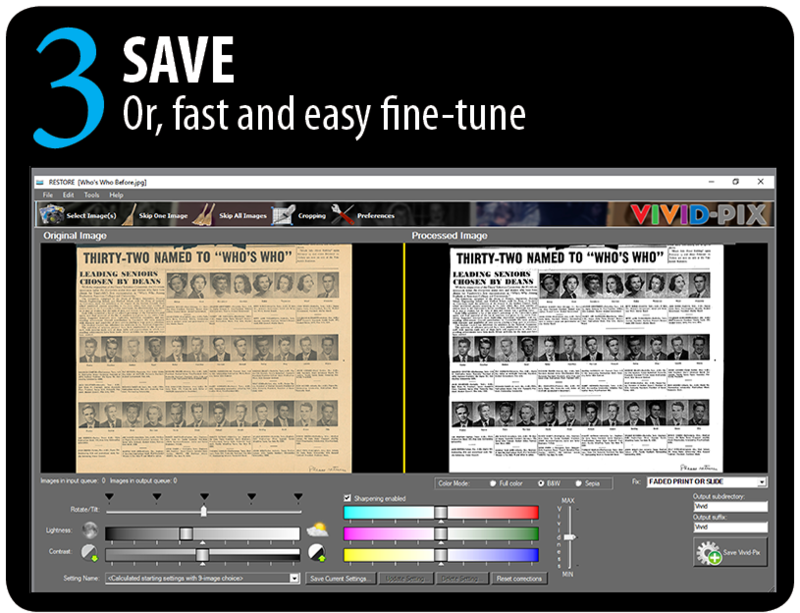 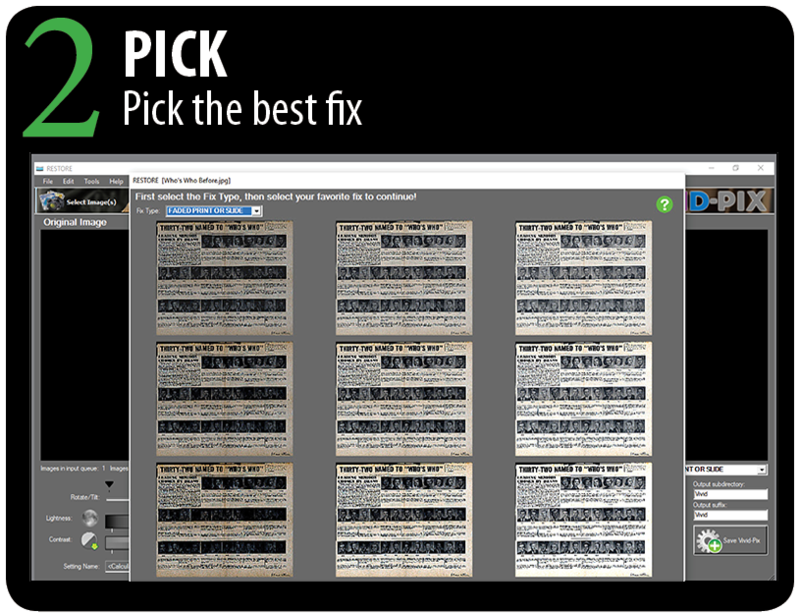 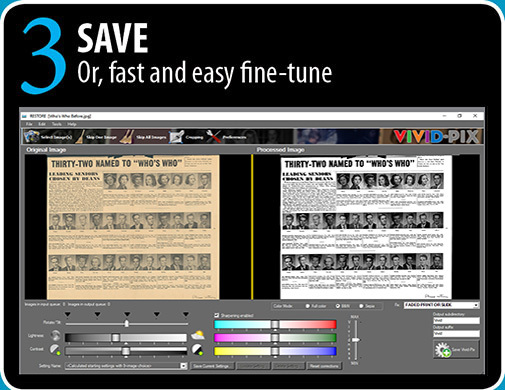 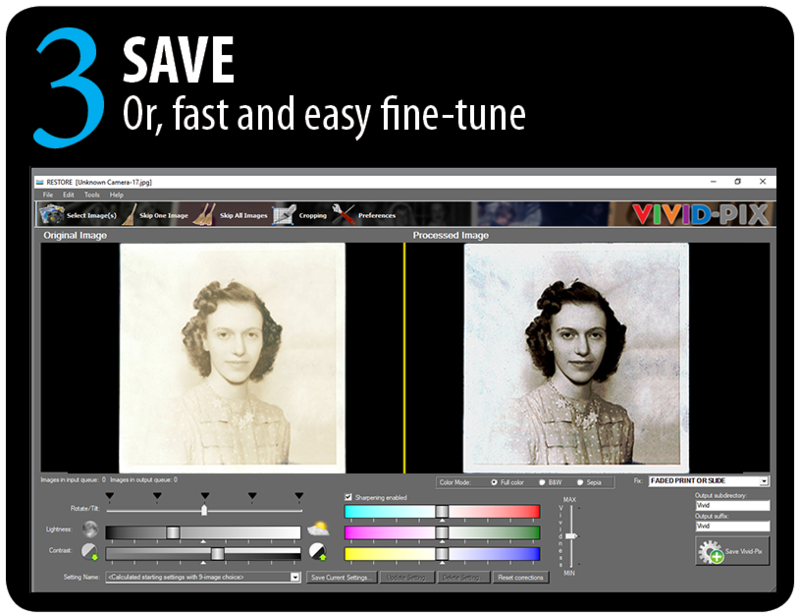 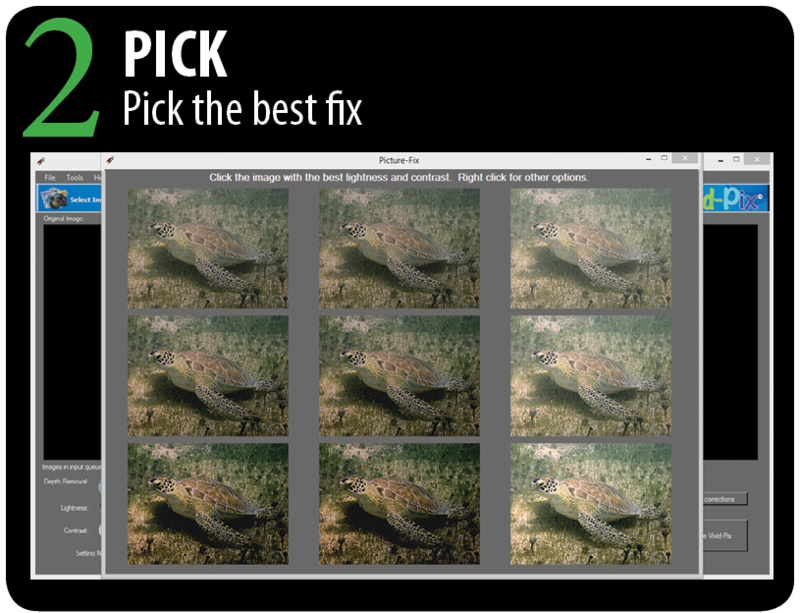 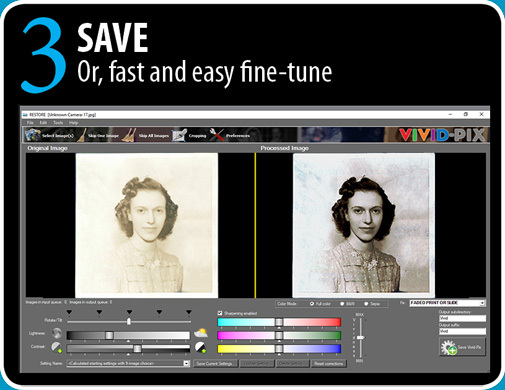 “Fix Your Pics” in as little as One-Click and fine-tune as desired. 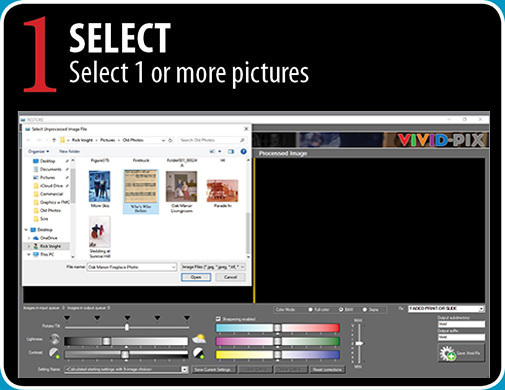 Celebrate and Share life’s treasured moments with Fast, Easy, and Affordable editing software, capable of the highest quality improvement. 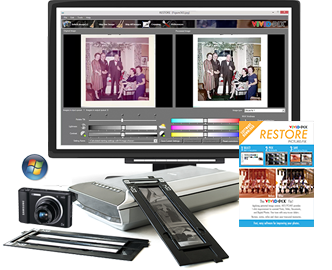 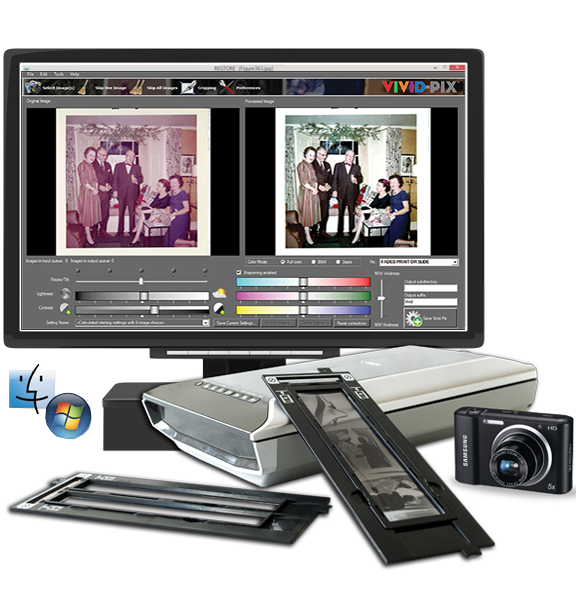 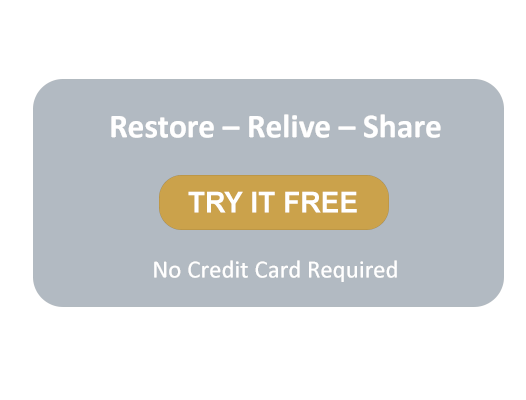 Improve scanned prints, slides, documents, and digital photos in seconds. 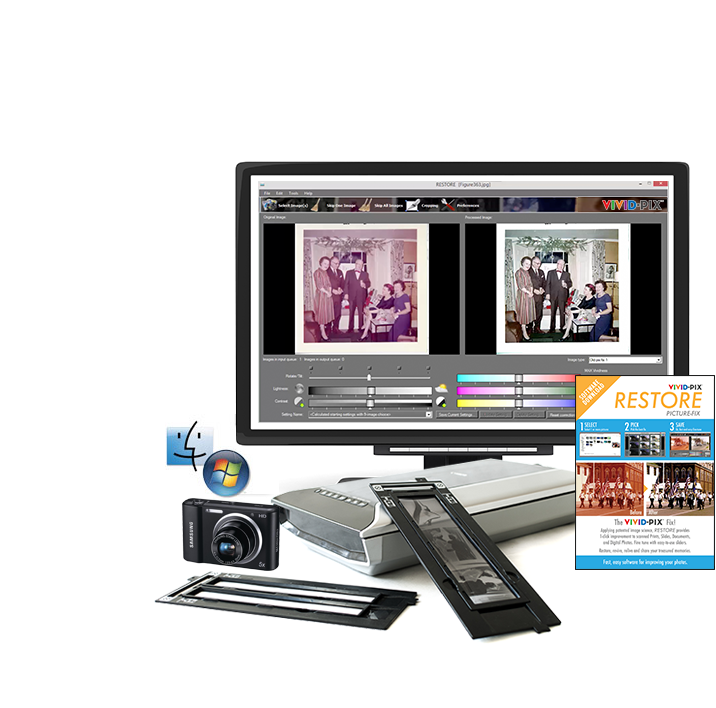 Don’t let photos and documents literally fade away. 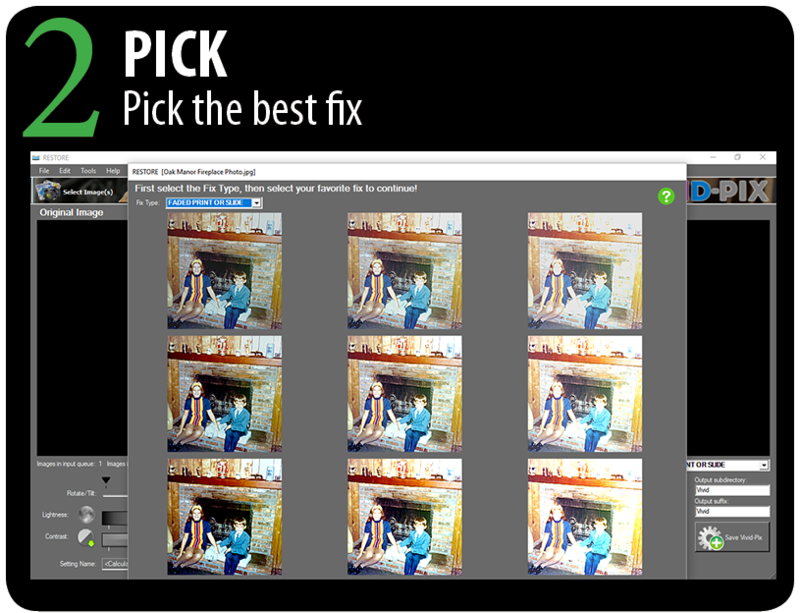 Turn drab photos into colorful, sharp, and bright pictures. 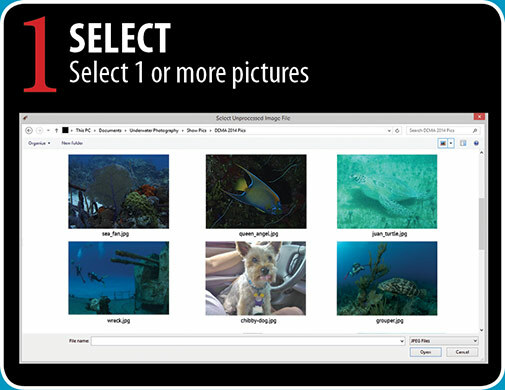 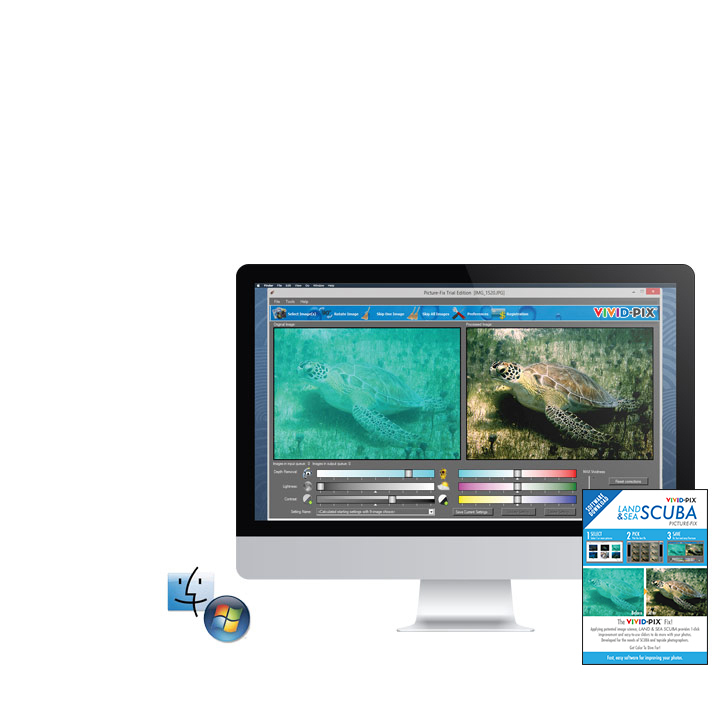 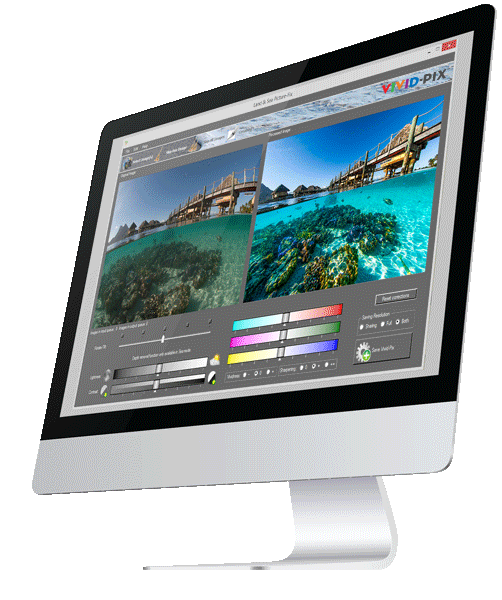 LAND & SEA SCUBA improves photos taken on land and underwater. 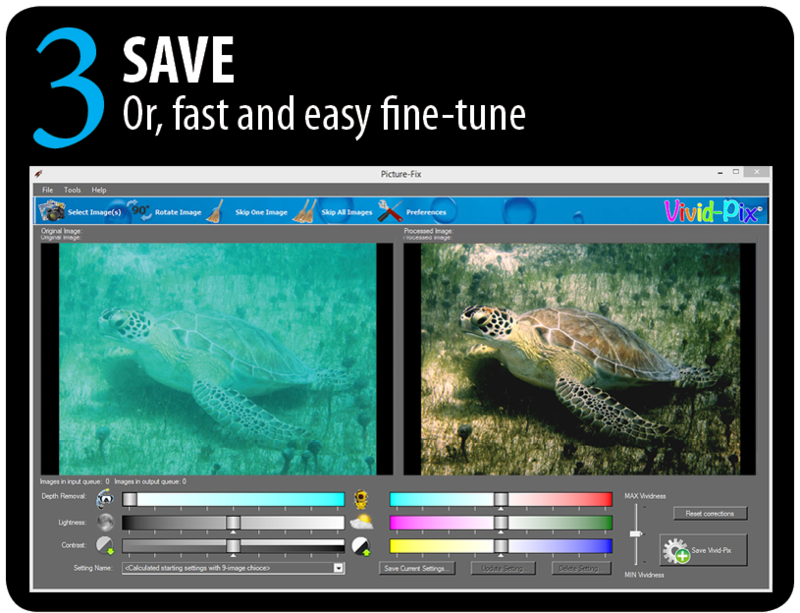 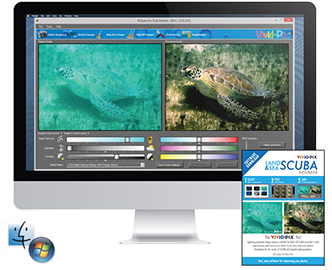 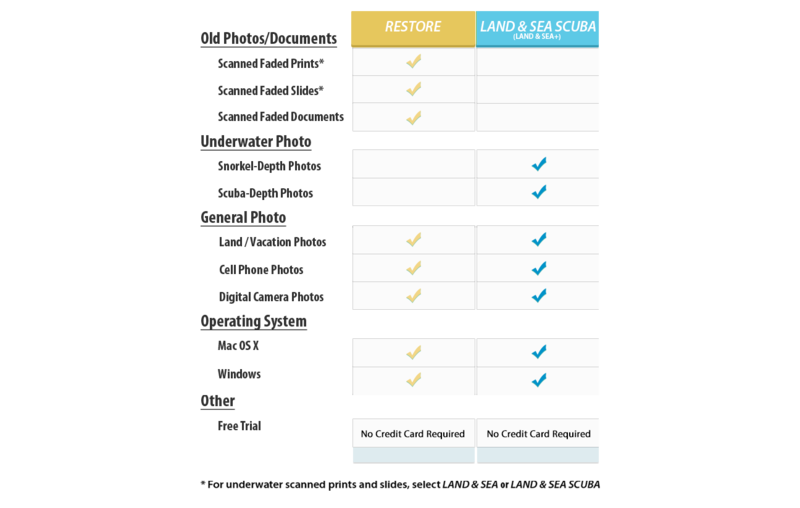 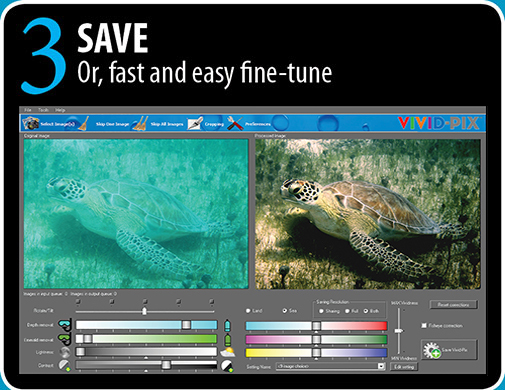 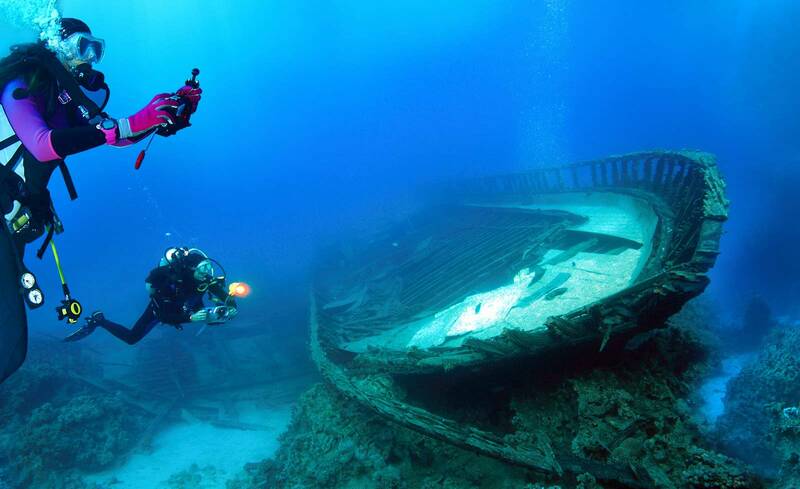 LAND & SEA SCUBA makes it Fast, Easy, and Affordable to improve your photos. 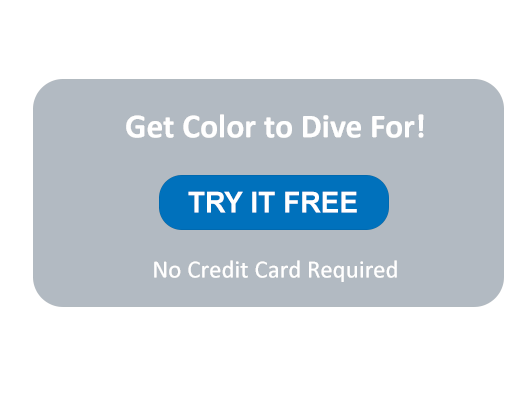 Get Color to Dive For!